Your bucket list just got a bit longer. Summer in New York City means cute street fairs and festivals, beautiful days in the park, and plenty of strange smells. Any good summer day ends in a sweet, cool, treat- and luckily NYC isn’t short of fantastic options. 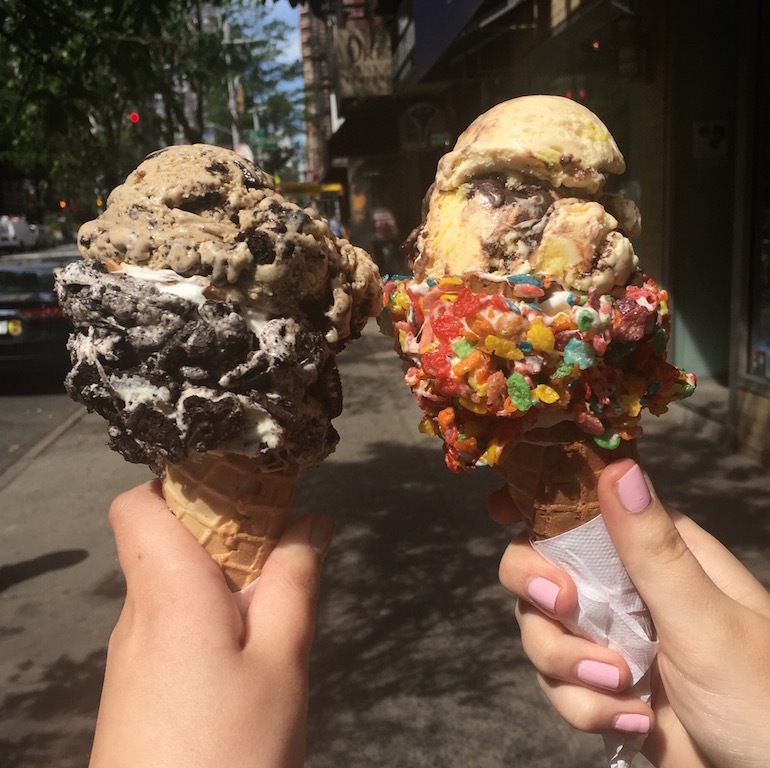 We’ve compiled the best into this NYC frozen treat bucket list- be sure to hit up one (or all) of these when you need a delicious cool down this summer. 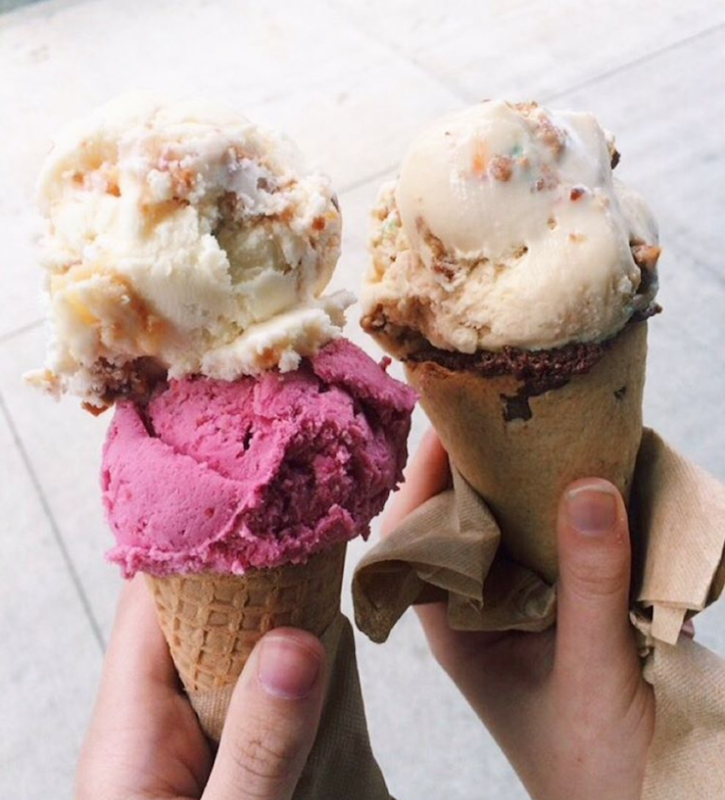 You might recognize these exciting ice cream cones, as they’ve been featured all over Instagram. With cones rolled in Oreos or Fruity Pebbles and flavors such as Mudpie and S’moreo, this one is a must-try. Trade in your usual cone for an ice cream sandwich. 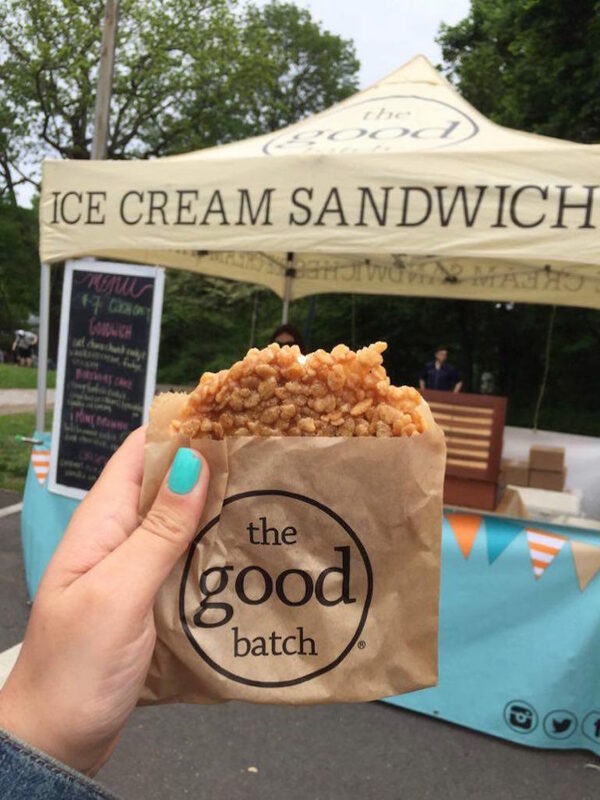 The Good Batch’s tempting ice cream and cookie combinations include vanilla between caramel Rice Krispie cookies (featured above), and mint ice cream sandwiched between brownie cookies. 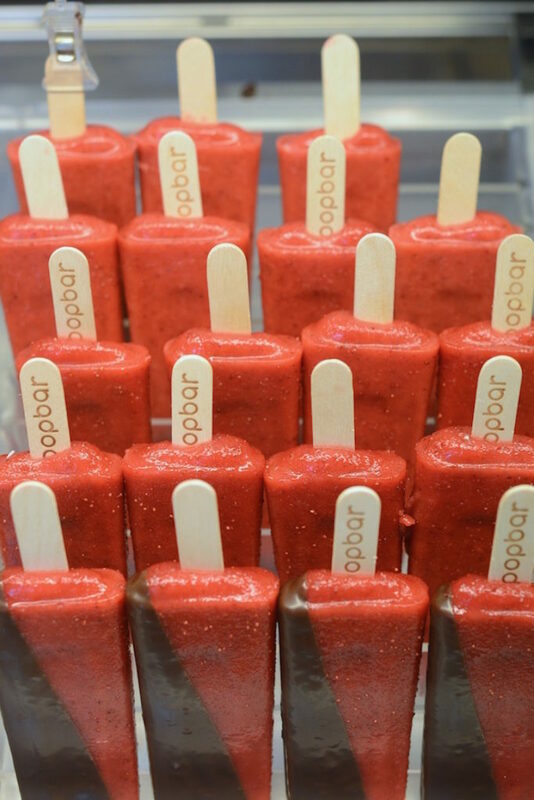 Popbar is your destination for whimsical popsicles, made fresh each day. 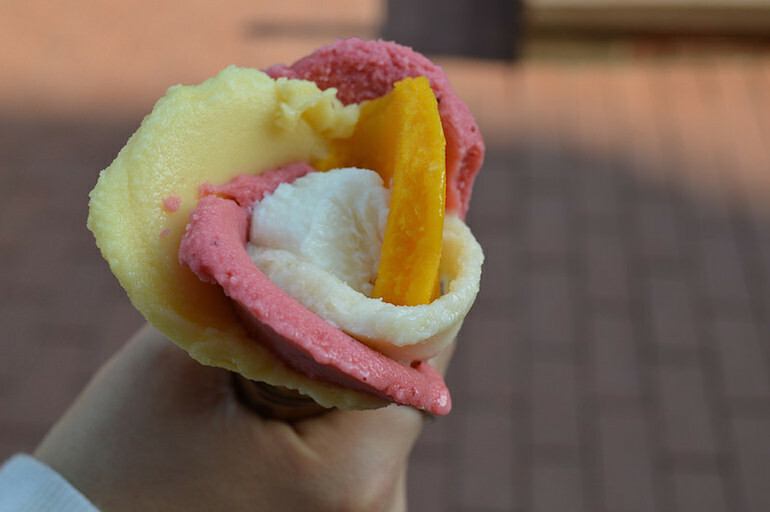 They specialize in indulgent gelato pops, fruity sorbetto pops (perfect for your vegan friend), and creamy yogurt pops. They even offer the option of making your own. 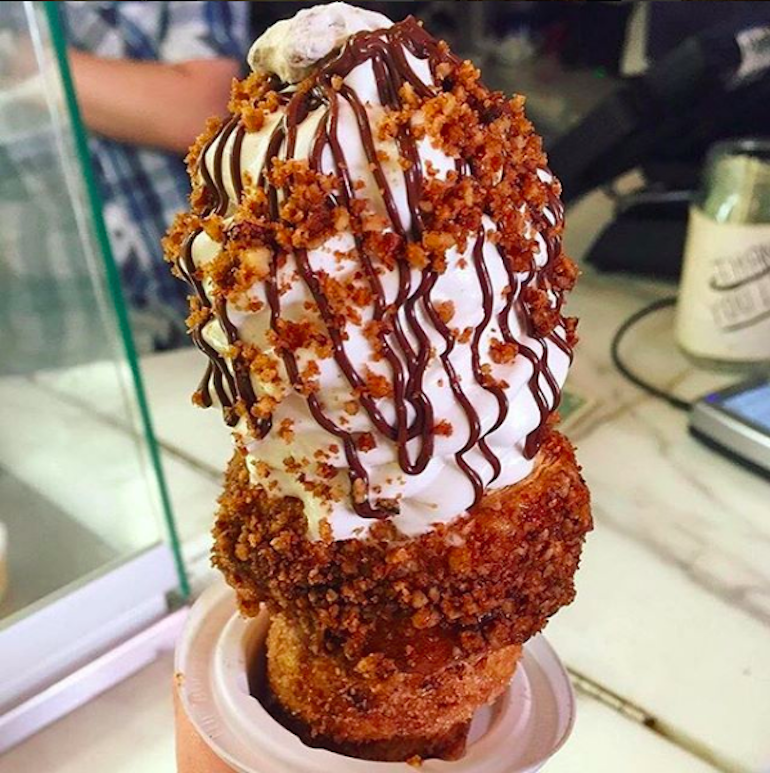 Do not let summer end before you try one of their churro cone ice creams. Just don’t. 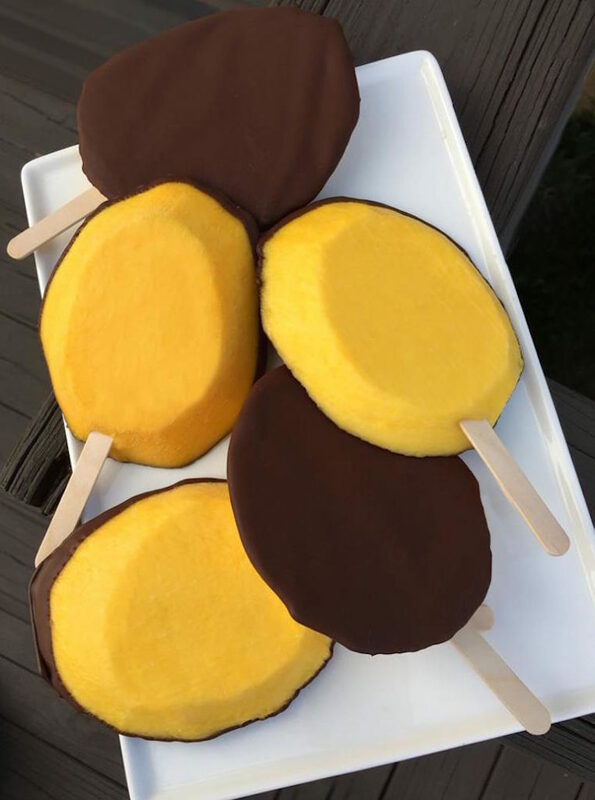 Frozen fruit dipped in chocolate is perfect for when you’re trying to keep things healthy. They’re even sold out of a charming wooden sailboat cart (which is usually on the move) that allows them to vend their pops in an eco-friendly way. No fuel is used, and no emissions are released, meaning you can enjoy guilt-free. Flavors and toppings are paired perfectly here. If you’re feeling super adventurous, try the seasonal Spoon University flavor: Fireball Whisky, Flaming Hot Cheetos Ramen, and Ramen Spice Brittle. In other words, your college experience in an ice cream cone. 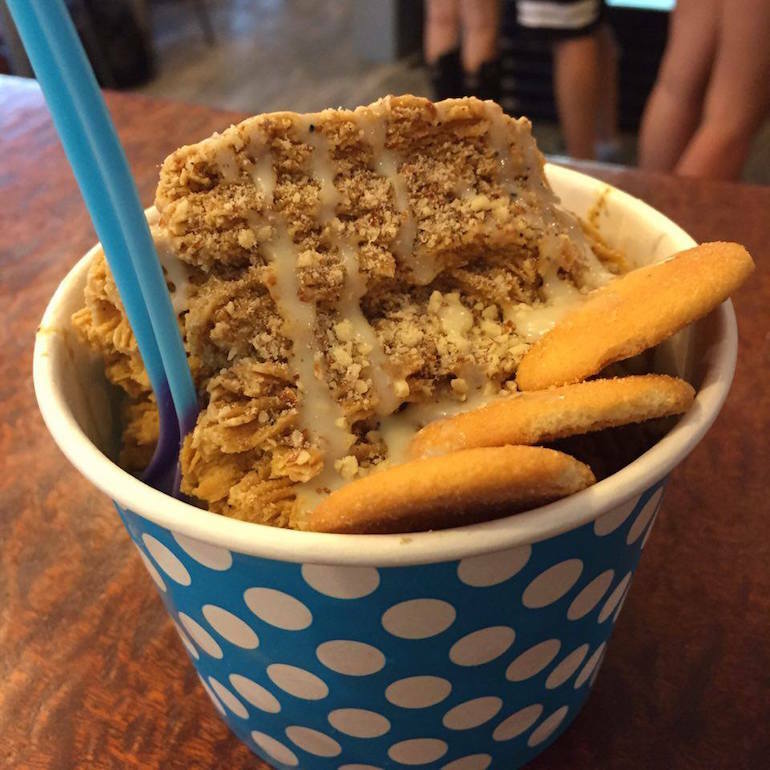 This spot serves up gelato that will make you feel like you’re spending the summer abroad. Bonus: it’s shaped like a rose. This one-of-a-kind spot was opened to share the exciting Mexican flavors the owner rediscovered while visiting her native country. 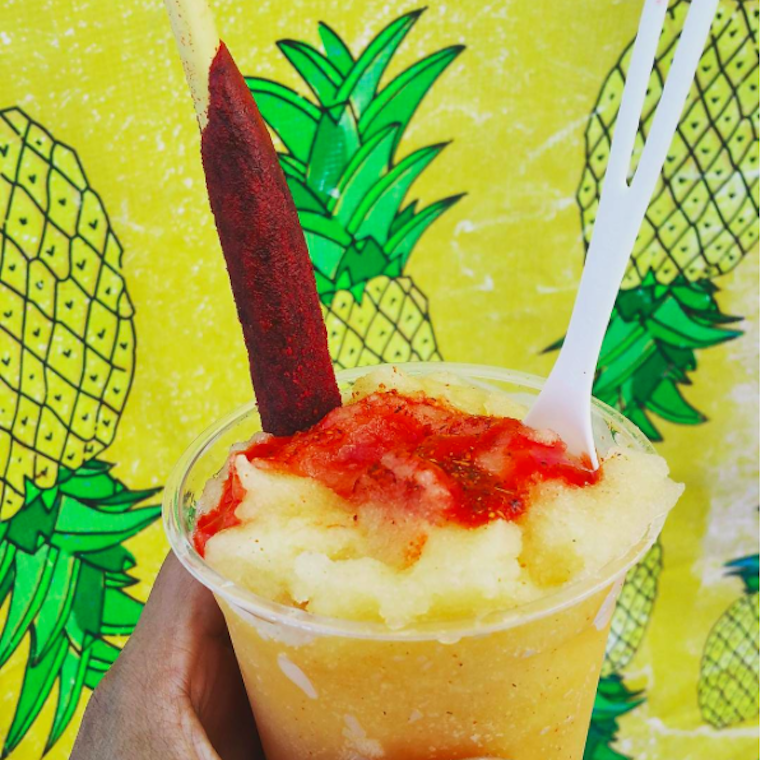 Their paletas, or Mexican style popsicles, come in flavors such as Mexican hibiscus, mango blackberry and berry mojito, and their chamuyada, a sweet and spicy shaved ice prepared with chamoy (featured above), is a must try. 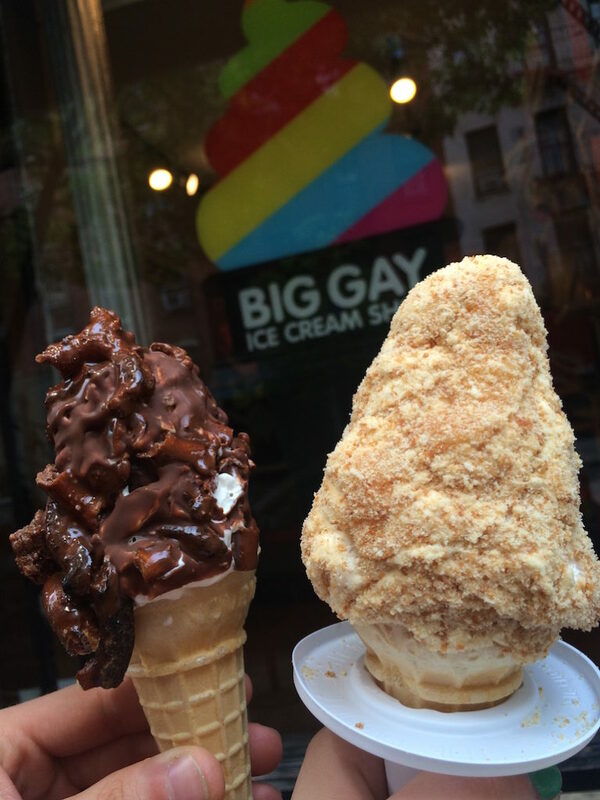 Big Gay Ice Cream truly has it all. Whether you’re in the mood for an ice cream shake, float, or one of their exciting soft-serve dip cones, they’ve got you covered. People’s Pops come in all sorts of seasonally inspired flavors and are handmade from fruit found at NYC greenmarkets. 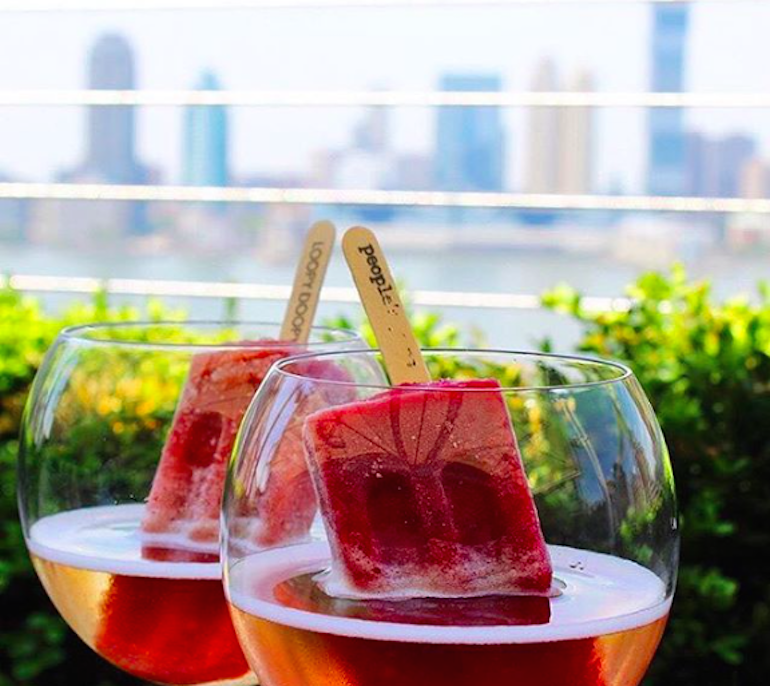 You can find People’s Pops at any of these locations, or grab your friends for an after-work happy hour and try one of the Prosecco and Ice Pop Cocktails at Loopy Doopy Rooftop Bar. These drinks consist of a People’s Pop Ice Pop (in flavors like Strawberry Lemongrass and Blueberry Peach) and chilled Prosecco or Rose. Sounds ideal. 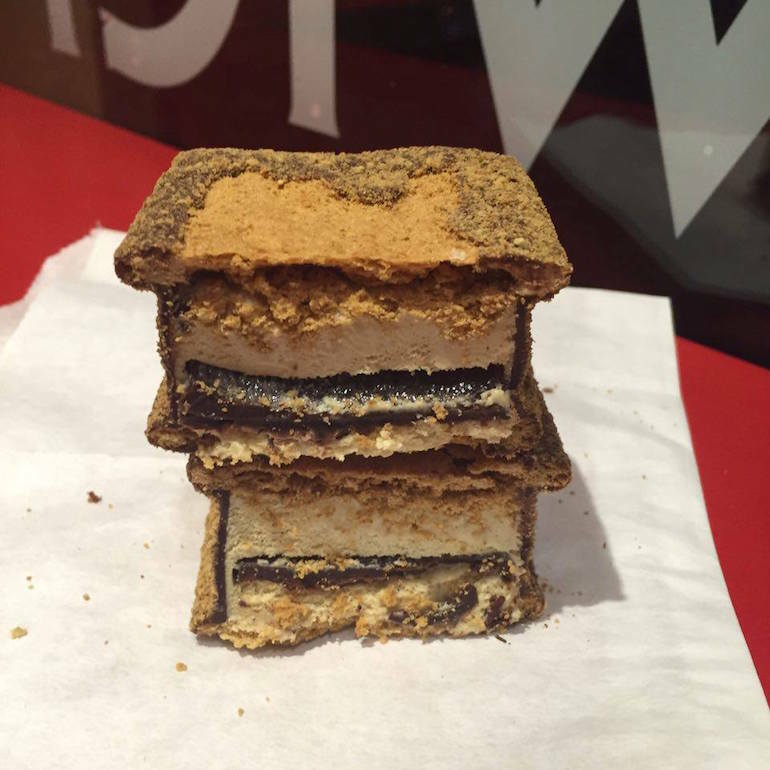 With two locations, one specializing in ice cream sandwiches (like the S’mores one shown above) and the other specializing in classic and innovative sundaes, you really can’t go wrong. 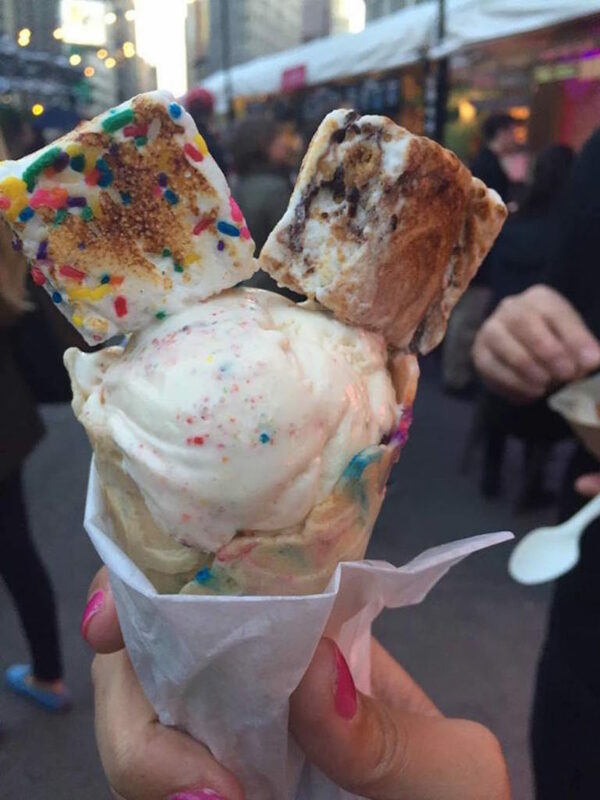 Check out their East Village shop for an OddPocket (brioche bread stuffed with ice cream and heated on a panini press) or their Williamsburg location for a cotton candy cone or boozy ice cream and popsicles. You may not want to think about snow during the summer, but the fluffy texture of this shaved cream will remind you of snow in the best way possible. These treats were inspired by Korean and Taiwanese shaved ice, which is all the rage on the West Coast. Ample Hills is unique not only because of flavors like Chocolate Milk and Cookies and Mexican Hot Chocolate, but also because they pasteurize on site. Basically, they’re a registered dairy plant (and the first in NYC to do this), which makes the flavor possibilities endless since they control every step of the ice cream making process. Power moves. Don’t let Labor Day Weekend come around until you’ve tried all of these.